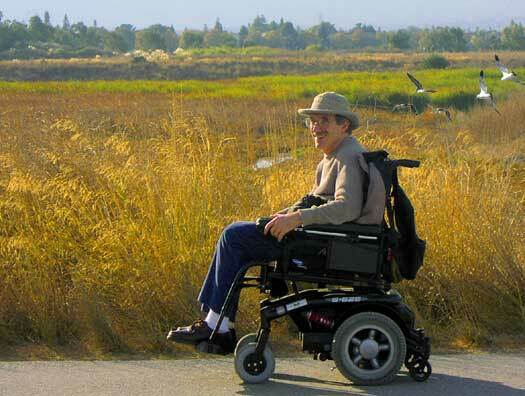 Bayland Birds - Paul Bendix - Miles of flat levee trails at the baylands are accessible by wheelchair, a perfect accessible way to witness wild nature. Here is my good friend Paul Bendix. All of these photos were taken from the walking trails.